Is a distributor of police and fire equipment and supplies. Is a manufacturer of promotional items available for community events. 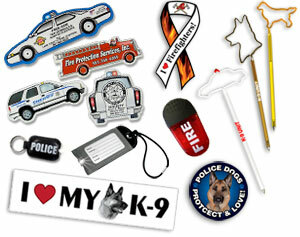 Not only caters to Police, Fire, and Emergency, but to any and all of your promotional needs. Please contact me if I can assist you as you serve the community.